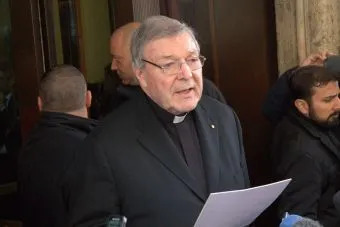 Melbourne, Australia, Mar 5, 2018 / 05:02 pm (CNA/EWTN News).- Cardinal George Pell, prefect of the Secretariat for the Economy, arrived at a Melbourne court Monday to begin the first day of his preliminary hearing over sexual abuse charges brought against him. Tokyo, Japan, Jan 24, 2019 / 07:00 pm (CNA).- Thousands of convenience stores in Japan will stop selling pornographic magazines, a move they say will help create an environment more conducive to families. In an interview with CNA, Gardiner said this mandate of love was the advice given to her by Bishop Francis Xavier Gsill M.S.C. when she was asked to move to Bathurst Island of Australia’s Tiwi islands in 1953 at the age of 22. Now 86, Gardiner was asked to be the guest speaker at the Australian Embassy to the Holy See’s celebration of International Women’s Day, which takes place annually on March 8. Last year Gardiner was given the “Senior Australian of 2017 Award” for her years of service to the nation’s remote Tiwi indigenous community. Her testimony was so inspiring that a number of different organizations pitched in to help fly her to the women’s day event in Rome. For Gardiner, this longstanding service was carried out in a variety of roles aimed not only at serving the Tiwi people, but helping them to adapt to the rapid changes in the western society around them. A primary role she held for several years was principal of the island’s Catholic school – a role that included hard-learned lessons in what it meant to relate to the people she served and, as she said, to “take on the smell of the sheep,” rather than placing herself above them. In her speech, Gardiner said the biggest lesson she learned was simply how to listen, which meant getting to know and accept the Tiwi ways and working with their cultural traditions rather than speaking as someone from the outside and expecting them to completely adapt to western models. When Gardiner first arrived on the island, she joined three other sisters from the order, three religious brothers, one priest and one lay missionary who were living there at the time. These, she said, were the only white people the Tiwi had really ever seen and encountered. 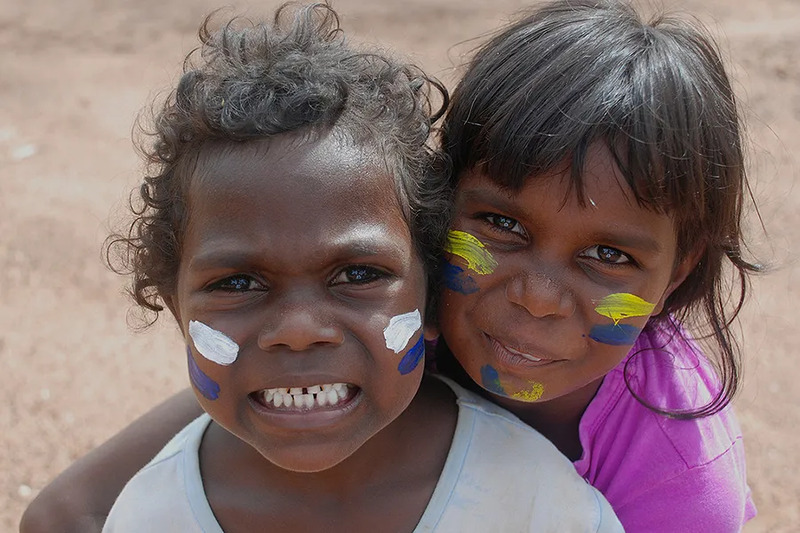 Though most of the Tiwi people are bicultural and are able to engage with the larger Australian population, they still maintain strong roots in their own heritage, particularly when it comes to leadership and the family structures. A number of years after arriving, the sisters launched a bilingual school and Gardiner was made principal. She was put in charge of a leadership team that was tasked with helping her run the school. In her speech, Gardiner said this was her first experience of managing in a cross-cultural context, and it took her years to realize that she could not simply make the school another version of a Western school. For example, the Tiwi understanding of leadership is drastically different from Western standards. While Gardiner was used to the idea that “the buck stops” with the person at the top, this notion is foreign to the Tiwi people, who have a structure that entails more shared leadership in which problem-solving and decision-making are done in groups arranged based on kinship lines. Gardiner said she fully realized this only when the Tiwi teacher whom she invited to take over as the next principal refused the job, on the grounds that she believed doing so would be cocky. It was then that she took a step back and really began to listen to the women, and once she did, they began to express fears and reservations they previously had not voiced. In the end, after re-thinking her strategy, Gardiner said the solution they eventually reached for the school leadership was a group structure made up of four women in charge of different aspects of the school, each with unique realms of authority. She also helped the develop skills in management, finances, and the use of computers. When the time came to expand a small photo exhibit into a full on museum on the Tiwi culture and way of life, Gardiner made sure to listen to the women whom she asked to run the project. Ultimately, the women were successful at running the museum because “they did it their way,” she said. Currently, Gardiner is the only sister left working at the mission on Bathurst Island, with one priest who offers the sacraments. In her comments to CNA, the sister said that while her work might seem invisible and insignificant to the rest of the world, the accomplishments of the people are truly spectacular. Gardiner also noted how, as with many other mission territories, it is the Tiwi women who form the backbone of Church life on the island. “If we look back over the years, it is religious and laywomen who have worked in these outback places that have nurtured and kept the faith together. When they didn’t have a priest it was the women who were there,” she said. Speaking of women’s role in the Church at large, Gardiner said she sees the potential they can offer, but stressed that “we’ve got to realize that we can’t make our own rules,” such as pushing for women’s priestly ordination. How dare he attempt to clean up Vatican finances, including the notorious Vatican bank.